Elite shungite contains from 90 to 98 per cent of organic carbon in it. The deposits of elite shungite are extremely scarce and elite shungite amounts for less than one per cent of all shungite found. You can have an elite shungite nugget near your working space or a bed while sleeping in order to provide a comprehensive protection against geopathic influence or you can have a small elite shungite nugget in your pocket or a small jewelry item to protect yourself from the electro-magnetic frequency (EMF) radiation effect in your everyday life. 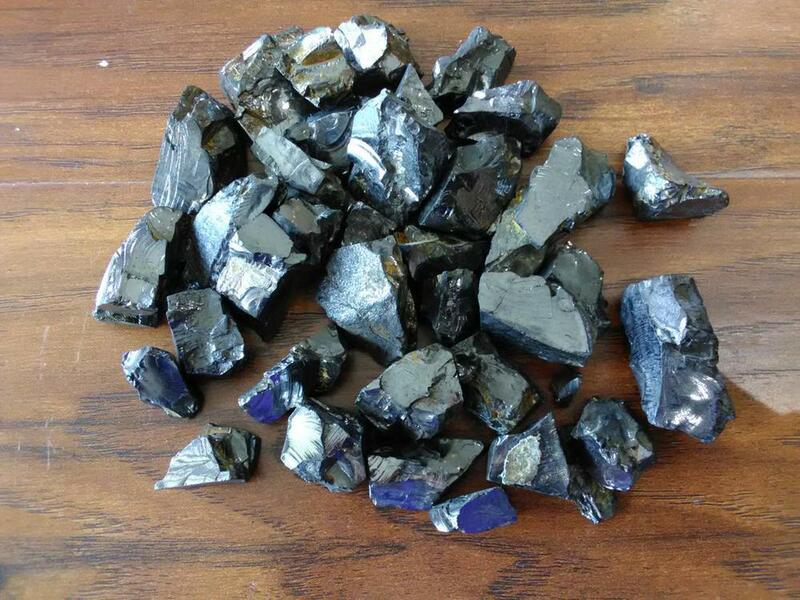 You can use small elite shungite nuggets in order to make an energized shungite water to keep yourself healthy and balanced.